Hi, I'm an Indian with 5+ years Analytics exp including a couple years International exp across 3 countries. I have got a 650 in GMAT and while i'm thinking of retaking it again i want to go ahead and apply to at least a couple universities with this score for the October window. I know there is a lot that adcoms consider beyond GMAT score (and i have a strong profile) but i just want to know if, given the score, i can take a chance by applying to b-schools like ISB, Yale or IE? Are there any others that i can apply? Best way to gauge it is to apply and see what happens. 650 is not a competitive score for Yale but I am sure people with lower scores have gotten in. You must have a really strong profile tho since 650 is 50-60 below the average score for Yale. Also sicne you are from an overrepresented category not sure that low score is going to help. 1) What were your Quant and Verbal Scaled Scores for this 650? 2) How long have you studied? 3) What materials have you used? 4) How have you scored on each of your CATs (including the Quant and Verbal Scaled Scores)? I have a breakup of Q47 V34. The dilemma is that i either spend next month to retake or spend that time in applying to a couple of schools which are good and i can have a decent chance. If your Overall profile is as strong as you think it is, then it doesn't matter whether you apply for Round 1 or Round 2 - Business School Admissions Committees know an amazing applicant when they see one. However, you have just one chance at a 'first impression', so regardless of when you choose to apply, you really have to make sure that you do everything in your power to properly "market yourself" to each School that you plan to apply to. 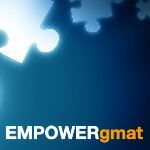 This is all meant to say that you could retake the GMAT if you choose and still have plenty of time to apply for Round 2 (if needed). I thought applying in round 1 with this score might give me slight edge compared to next round, hence. But i understand what you're saying. Thank you. That's really helpful.